Installation view of Lisa Hill's "Just Like Home"
I just completed the catalogue essay for this fabulous work currently traveling around Australia as a part of the Kultour programme. A WAR hero has been told he will be kicked out of the country unless he stumps up £1300 to get his visa renewed. Former Royal Scots private Fereti ‘Freddie’ Bureqele, 28, will have to find the cash if he wants to stay in Scotland with his wife Nicola, 30, and children Ryan, nine, Junior, four, and Oni, three. Freddie served with distinction in Bosnia and Iraq during six years in the Army and is now with the Territorials. He is due to leave for a tour of duty in Afghanistan in October, where he will be based for five months. But he has been told he will have to fork out cash to the UK Border Agency for an Indefinite Leave to Remain (ILR) visa on his passport – or be deported back to Fiji. He is being forced to pay £1000 to fly to the South Pacific island to get a new passport, as his current document is running out, then pay another £300 to get a new UK Border Agency stamp. The Australian Association for the Advancement of Pacific Studies (AAAPS) holds a biennial conference. The first one, “Australia in the Pacific – the Pacific in Australia” was held in January 2006 at the Queensland University of Technology (QUT). The next, “Oceanic Connections”, was held in April 2008 at the Australian National University (ANU). AAAPS now invites abstracts for presentations to the 3rd AAAPS conference, “Oceanic Transformations” to be held at the Victoria University Conference Centre, 300 Flinders Street, Melbourne, from Thursday 8th to Sunday 11th April 2010. For more information about AAAPS please visit the website http://www.aaaps.edu.au/. Curator Joycelin Leahy will be discussing my work in relation to the Pacific Storms exhibition and curator Loketi Niua Latu will be exhibiting my work in the Victoria Univeristy foyer along with other PI artists. 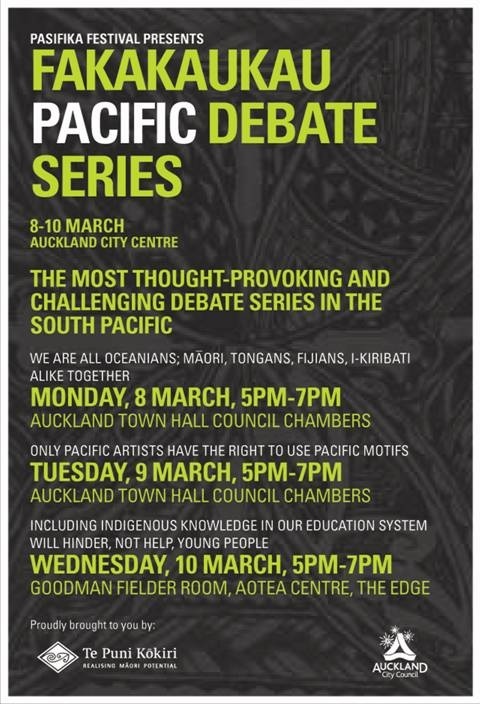 “Only Pacific artists have the right to use Pacific motifs…” – featuring Ms Ema Tavola – wish we could be there – it’s gonna be hot!! !